Fresh off my success clearing the left nozzle on my Replicator, the right nozzle stopped working. So I cleaned it out with the aforementioned acetone and drilling process, and still no go. So the next thing to try is adjusting the fabled Delrin Plunger. It sounds like Elvish plumbing equipment, but it’s just a little piece of plastic that lives inside the Replicator’s Stepstruder Mk. 8. 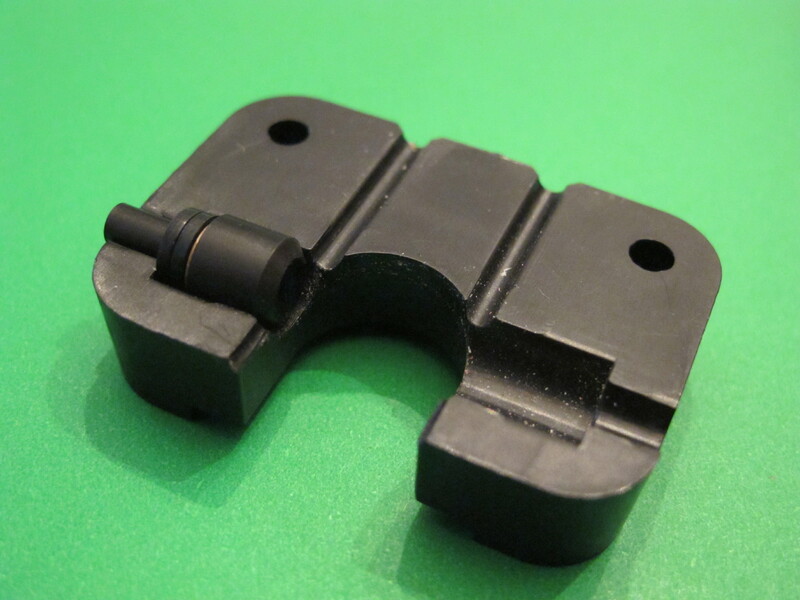 The plunger’s job is to maintain pressure on the filament so that the stepper can feed it into the heated nozzle. Over time the filament will wear a groove in the plunger’s head, which reduces contact between the plunger and the filament, which in turn makes it had for the drive wheel to push the filament through the nozzle. This is what a plunger looks like after about eight months of more-or-less daily use. The blue arrow points to the wear on the head. If filament isn’t emerging from your nozzle, or it’s coming out really slowly, rotating your plunger may help. With a couple of hex wrenches this is a ten-minute job. Be aware that the plunger is inside a two-piece plastic case held on to the stepper by two bolts. 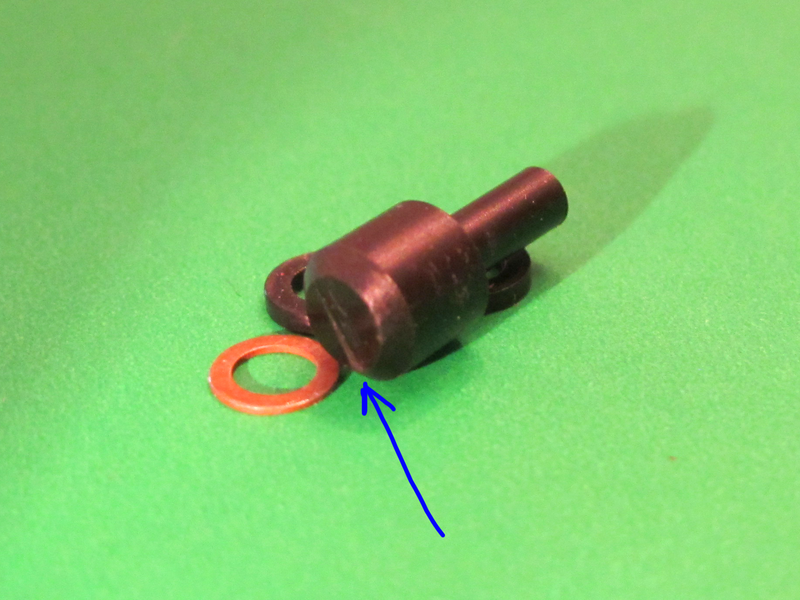 This is a right extruder, so the plunger goes on the left side, pointing away from the Replicator’s midline. And then here it is with the second piece of the case attached. Note that I’ve rotated the plunger 90° so the filament has maximum contact with the plunger’s head. When you disassemble this case be careful that the plunger and washers don’t go flying. The washers you could probably replace, but I have no idea where to get a new plunger. MakerBot’s fresh out of them. 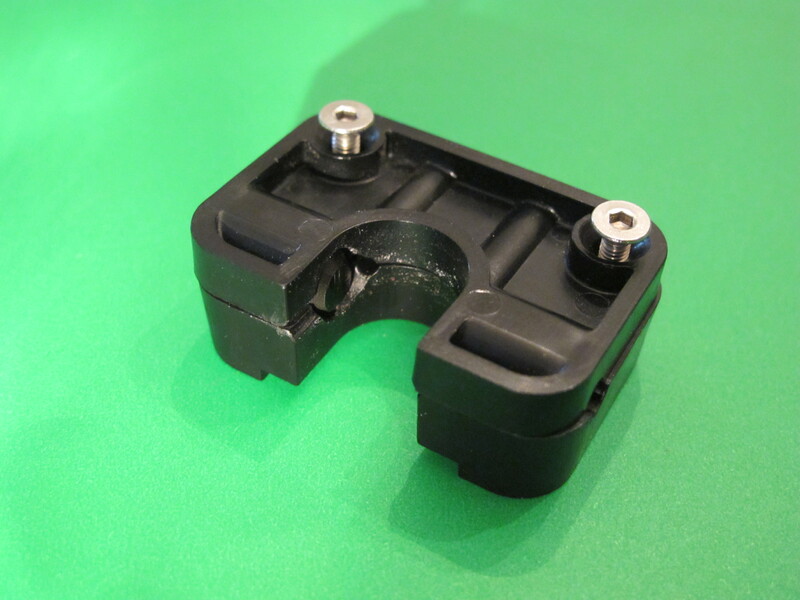 This entry was posted in 3D Printing, FAIL, tinkering, troubleshooting and tagged delrin, elvish plumbing, maintenance, MakerBot on January 21, 2013 by zheng3. Time for a Mk8 upgrade!